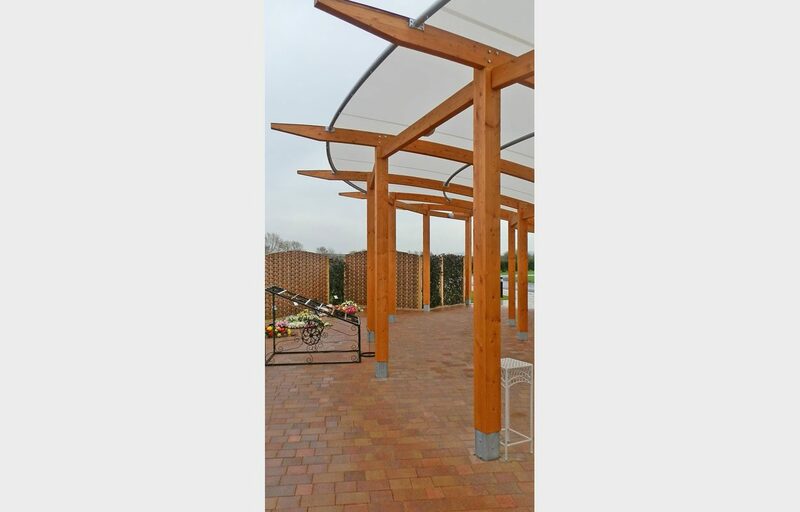 Curved floral tribute canopy for Sedgemoor Crematorium. 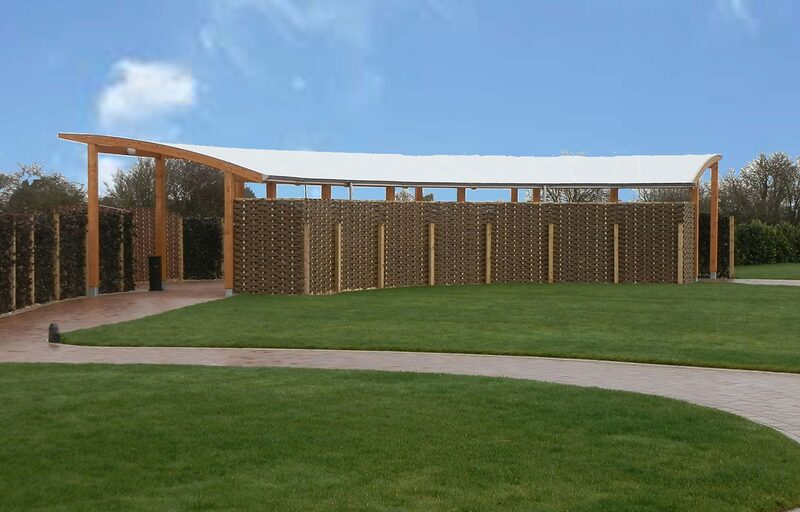 A sustainably sourced mono pitch timber canopy will provide visitors of Sedgemoor Crematorium with shelter and a welcoming waiting area. 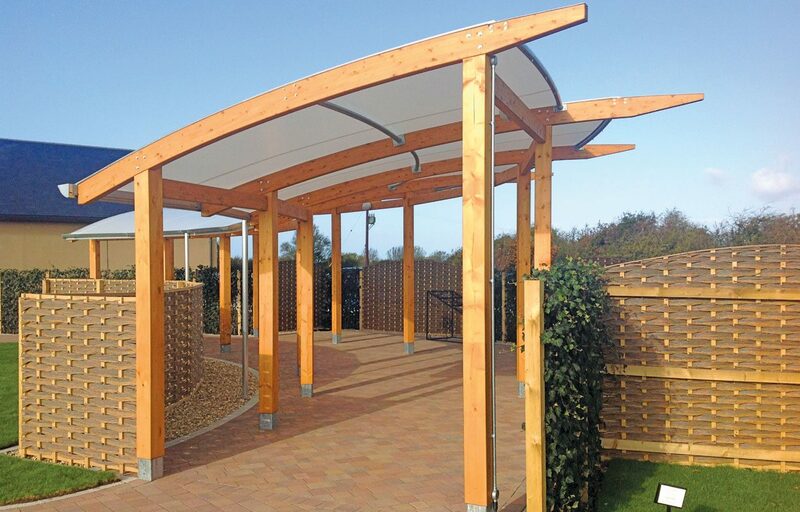 The timber structure and curved form ensures the canopy complements the surrounding context. 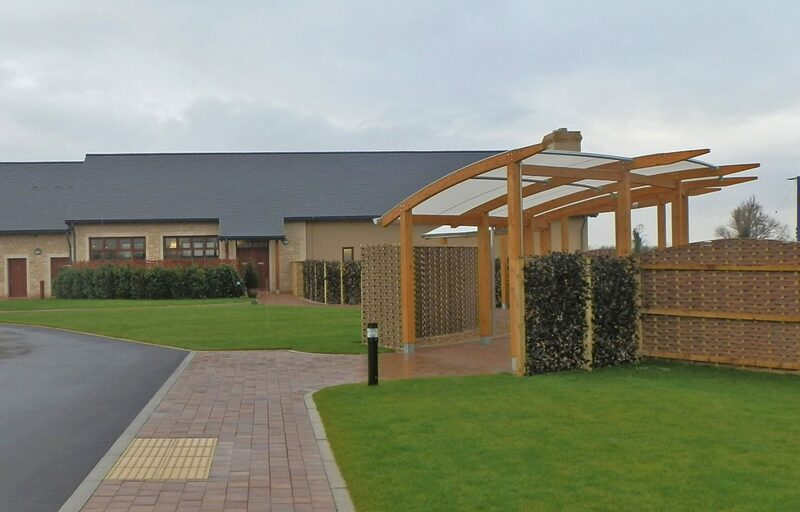 Designed exclusively for Fordingbridge, the structures roofing solution Opal 60 fabric is known for its high longevity and simple maintenance. A pre-engineered approach to design allows for an extremely quick installation time causing minimal disruption to your site.